The training, support, and tools your agency gives you are crucial to success as a real estate agent. In this article, we review and compare the three largest national franchises–Keller Williams, RE/MAX, and Century 21. The following guide has been written by an agent (myself) for agents like you. Read on for my pick of the best real estate company to work for. Sick of paying high desk fees for an office you don’t use? Try a virtual brokerage like Real. They offer splits starting at 85%, with no monthly fees. We recommend Keller Williams because of their straightforward and fair commission splits, profit sharing, best-in-class training, and increasing market dominance. We recommend Keller Williams as the best real estate company to work for in 2017 for four primary reasons: their fair and transparent commission plan, profit sharing, best in class training, and increasing market share. For many brokerages, commission plans are always a bit of a mystery. Keller Williams, on the other hand publishes, their basic commission structure, so agents know what to expect from joining the firm. Of course, their splits aren’t written in stone, so a brand new agent or one with decades of experience might get different offers. That said, Keller Williams’ plan seems to be the most straightforward. It’s also a very fair plan, especially for newer or part time agents who may not want to pay high desk fees every month, but still want a better than average split. At Keller Williams, agents get 100 % commission after they earn a certain amount, so the plan encourages agents to work harder. Never a bad thing! One of Keller Williams’ most attractive offerings to agents is their profit sharing plan. Keller agents who recruit other successful agents receive a portion of those agents’ commissions. If the agent they recruit in turn recruits another agent, the original agent gets a small percentage of their commissions as well. After certain production goals are met, agents who receive profit shares join the leadership council. Here they are given a vote on decisions made for the entire agency. No other company we reviewed offers profit sharing. Over the past few years, the Keller Williams brand has become synonymous with great training. They continue to lead the industry in training. Training Magazine recently ranked Keller Williams the number one training program in the country not just in real estate, but in all industries. Considering that Keller Williams only started franchising in 1991, they have had incredible success in building market share. In 2017 they have 161 spots on the Real Trends Top 500 by transactions sides per office. As a result, Keller Williams brand recognition is growing at a rapid clip. RE/MAX and Century 21 currently have higher brand recognition, but they have far fewer offices in the Real Trends 500. While many highly experienced agents reported being very happy working at Keller Williams, some very experienced agents might want nothing more than a very high commission split and a place to hang their license. RE/MAX is a great choice here because a top producing agent can easily work out splits above 90%. For newer agents, RE/MAX might not be the best choice because higher commission splits mean higher desk fees. Desk fees need to be paid whether or not you’re selling homes. In addition, RE/MAX doesn’t offer as much training and support as Keller Williams. Of the companies we reviewed, Century 21 had the best brand recognition with a whopping 96% of respondents recognizing the brand. In the real estate industry, they are about as close as it gets to a household name. That means a lot of instant trust from clients and credibility for agents. Keller Williams: Part of the reason that Keller Williams has enjoyed such a meteoric rise in the industry is their commission structure. Keller Williams starts new agents with a 64%/30%/6% commission split until they reach certain gross commission goals, called caps, for the year. After they reach their yearly cap, the agent keeps 100% of all commissions they earn for the remainder of the year. Caps are different for every KW office. In Iowa for example, the cap may be set at $18,000 while in Miami beach the cap might be set at $30,000. Keller’s capped plan not only offers new agents a great starting split, but is a great motivator as well. Who wouldn’t want to start earning 100% commissions during their first year in the industry? Experienced agents on the other hand, may not want to wait until they reach their cap to start earning high commission splits. 64% goes to the agent – Since many agencies start new agents at 50%, 64% is a big bump that can mean swim instead of sink for many new agents. 30% goes to the Franchise or “Market Center”– Known as the “Company Dollar,” this is the portion of commission that covers office expenses like rent, utilities, and E&O Insurance for the managing broker. 6% (capped at $3000 per year) goes to Keller Williams International as a franchise fee – This is the only profit that Keller Williams International makes per year from each agent. Of course this chart doesn’t include the desk fee (explained below) which on the low end will come out to around $600 per year. That brings the agent’s annual net down to $18,600. Not a spectacular payday, but you can see why a newer agent might want to consider working at Keller Williams instead of a brokerage with a traditional split. RE/MAX: One of the first real estate brokerages to offer a high split commission plan, Re/Max stays true to form and offers agents a wide variety of high split options. All RE/MAX agents we spoke with had very different splits and desk fees so a ballpark number is nearly impossible to get. For many agents, especially new agents, the idea of paying high monthly desk fees in exchange for a larger commision split is not very attractive. After all, 95% of zero dollars is still zero. Skeptical agents have even gone as far as dubbing the company ‘feemax”. Of course assuming a $800 per month desk fee on a 95% commission is purely hypothetical. Since all RE/MAX franchises are independently owned and operated, plans will vary from office to office. I never said finding the best real estate company to work for would be easy, did I? Century 21: Century 21 has a more traditional approach to commission splits and generally starts new agents on a 50% split, and offers more experienced agents higher splits based on past performance. Some offices may offer new agents higher splits with higher desk fees or graduated plans. Not that great, but keep in mind the agent hasn’t had to lay out a penny to the company before closing their deals. Working for a “standard” split with no desk fees can be an ideal arrangement for new agents. After paying for their licensing course they can put all of their resources into lead generation and marketing. For more experienced agents, Century 21 might be the dominant brand in their market so joining them would be a strategic advantage. Remember that experienced agents will generally be offered much higher splits than the example above. 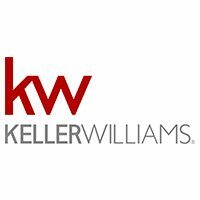 Keller Williams: In addition to the company dollar and franchise fees, Keller Williams also charges a modest desk fee. Desk fees at Keller Williams cover errors and omission insurance, CRM, eMarketing, Google Apps, paperless document handling, websites, iOS/Android apps, efax, and phone. Depending on the region, desk fees can range from $50-$80 per month. RE/MAX: High desk fees are almost always the trade off for high commission splits. Being a high split brokerage, the only way RE/MAX can recoup paying out high commissions is to charge high desk fees. After speaking with a number of RE/MAX agents, we found desk fees were all over the map. Some agents were paying $1000+ per month in desk fees for 95% splits, some paying much less. As a general rule of thumb, if you are a newer agent, you will pay higher desk fees. If you have a great track record, you will pay lower desk fees. Some RE/MAX offices also offer graduated plans where you pay certain desk fees per month until you reach a cap for the year, then you pay nothing or a lower fee. For example, here are a few of the options on offer at RE/MAX Signature in Long Island, NY. Century 21: Unlike the other two firms, Century 21 charges no desk fees at all. This can be a godsend for new agents who need every penny they have to generate leads and pay their bills. That said, they do charge a royalty or franchise fee of 8%. The agent may have to pay all of this or may split it with the broker. Marketing can get expensive quickly in this industry. New agents in particular may have a hard time paying for their own marketing in the beginning. While this is an important criteria when deciding the best real estate company to work for, most brokerages don’t cover marketing expenses. Keller Williams: Many Keller Williams agents we spoke with said that their broker covered yard signs and some color printing costs, but that’s about it. Agents had to pay for photography, direct mail costs, personal web sites, and all other marketing expenses. RE/MAX: Like Keller Williams, most RE/MAX agents we spoke with said yard signs were generally covered, but very little else. RE/MAX does offer all agents complimentary access to their “Design Center” a web-based platform that has templates for mailing pieces, show sheets, drip campaigns, single property web sites, and YouTube compatible listing videos. Century 21: Like Keller Williams and RE/MAX, Century 21 also covered yard signs, but not much else.Like RE/MAX, they also offer print and online ad templates, video templates, and social media tools. Since all real estate agents are independent contractors, it can be very difficult for a franchise to get individual agents involved in the company beyond a weekly office meeting. Profit sharing, not only gets agent’s involved, but makes the performance of other agents affect their bottom line. In practice, profit sharing is very simple; an agent recruits a new agent, then gets a percentage of that agent’s commissions. If the new agent recruits another agent, the original agent gets a percentage of their commissions as well. If you work at a Keller Williams office and recruit your friend Larry to join the company, you will get a small percentage of Larry’s commissions. If Larry ends up recruiting Jane, you will get a small percentage of both Larry and Jane’s commissions. RE/MAX: Though there may be bonuses for agents who recruit other successful agents, there is no offical profit sharing program at RE/MAX. Century 21: Though there may be bonuses for agents who recruit other successful agents, there is no offical profit sharing program at Century 21. For those that haven’t heard of it, Real Trends is an independent company that ranks large real estate companies by transaction sides, sales volume, and more. Think of it as the OSCARS for real estate. While participation is voluntary, all large franchises and brokerages participate. The offices listed on Real Trends Top 500 by transaction sides are the most active real estate offices in the country, closing more deals than any other office. While the number of transactions sides by office is a great way to see how successful an individual office is, there are some other variables at play here. For example, let’s say two offices each closed 100 transactions sides per month. You would say they were both equally successful, right? Not so fast. What if one office has 50 agents and the the other office has 100 agents? The first one is more successful. Just keep in mind that transaction sides are certainly an important measure of market dominance, but sometimes the numbers can be slightly misleading. Keller Williams: Keller Williams was far and away the winner here with an astounding 161 offices on the Real Trends Top 500 by transaction sides. While this is an incredible achievement for a relative newcomer, Keller Williams does generally have more agents per office than other companies.The agents we spoke with noted that Keller Williams seemed to have more part time agents than other high split firms like RE/MAX. Considering their relatively high starting split and cap plan, this makes perfect sense. Most part time agents can’t justify high monthly desk fees if their only close a handful of deals per year. RE/MAX: RE/MAX came in second here with 84 offices on the Real Trends top 500 by transaction sides. A very impressive number, but still much smaller than Keller Williams.That said, RE/MAX had a higher overall number of transaction sides (spread among fewer offices) in general, as well as a higher number of transaction sides per agent. Expect to see a LOT of competition between RE/MAX and Keller Williams as they fight for top agents and market dominance in the next few years. Century 21: Century 21 had the lowest number of offices on the list and around half as many transaction sides as either RE/MAX or Keller Williams with only 28 brokerages on the list. While many agents focus almost solely on commission plans, training should be at the very top of your list when deciding the best real estate company to work for. Yes. Even if you’ve been in the industry for decades! For new agents, the value add here is simple. This can be a very difficult industry to succeed in and quite often hard work is not rewarded. I’ve known many agents who spun their wheels for a year or so, then just gave up because they weren’t seeing any results. Good training can make or break a new agent. Experienced agents may think they know it all, but technology is changing this industry very, very quickly. You need to adapt or get left behind. Good training can make it easier to learn new technology, and it can mean fewer false starts and quicker results. Keller Williams: From the beginning Keller Williams tried to stand out from the crowd by being synonymous with top notch training. Generally speaking, they offer more training opportunities than many other companies.Through their various training platforms, Keller Williams offers their agents an astounding number of materials. Through their MAPS coaching program, the company offers agents 310 instructor led classroom sessions, 2000 online self-paced modules, and 82 hours of formal planned training provided to individual employees annually. In 2014 Keller rolled out their Mega Agent Expansion program (MAE) that expanded their educational opportunities even further. Keller’s training is so good, that Training Magazine ranked their program as not only the best in the real estate industry, but the best in ANY industry for 2015. Perhaps the best part of Keller Williams training and a big part of the reason they are dominating many markets these days is that they offer many materials online for free to any agent, not just Keller agents. I honestly can’t think of a better marketing tool to attract new agents. Want to see some examples? Here are dozens of 100% free buyer and seller scripts available to the public. If you search a bit, you will come across dozens and dozens of high quality Keller Williams training materials online. RE/MAX: Though their offerings may be a bit less robust than Keller’s, RE/MAX also offers their agents excellent training programs.Through their RE/MAX University program, the firm offers on demand videos, classroom training, and coaching to their agents. Amazingly, they offer material from some of the best real estate coaches and trainers in the industry like Brian Buffini, and Tom Ferry. If you’re interested in learning more about real estate coaches, check out our guide here. Century 21: Like Keller Williams, Century 21 also has very highly regarded training programs. Their Century 21 System is ranked as the 30th best training program in the country by Training Magazine. Like RE/MAX they also offer exclusive Brian Buffini content and great online training options. While it’s true that most people choose a realtor rather than a company, brand awareness can have a huge impact on your career. Having a globally recognized brand means that you have instant trust and accountability from almost everyone you come across. Newer firms do not have this luxury. Keller Williams: As a relative newcomer compared to RE/MAX or Century 21, Keller Williams has the least recognizable brand. According to a study by Milward Brown, Keller Williams came in 5th behind Century 21, RE/MAX, Prudential, and Coldwell banker, in terms of brand recognition.As Keller continues to gain ground however, their brand awareness will likely increase. RE/MAX: Since they have been a dominating force in the industry for many years, RE/MAX has a very recognizable brand. According to the Milward brown study, 91% of respondents recognized the Century 21 brandingFinding the best real estate company to work for is never easy. After researching the top three franchise real estate companies in the country, we found that Keller Williams offered the best combination of high commission splits, transparency, and great training. Century 21: Century 21 has been the king of brand recognition since 1999. According to the same study mentioned above, 96% of survey respondents recognized Century 21’s branding compared to 44% for Keller Williams and 91% for RE/MAX. How we ranked the 2018 best real estate companies to work for. Our rankings for the best real estate companies to work for is based on Real Trends 2017 national brokerage rankings by sales volume and transaction sides, as well as our editor’s and contributor’s own subjective market assessments. For example, best branding is subjective, but we felt Compass was head and shoulders above other companies in their branding efforts and consistency. Have a company you think deserves to be in our rankings? Let us know in the forum. Finding a brokerage to work for is not an easy task. Many agents think first of the large national franchises. Of these, we recommend Keller Williams as the best real estate company to work for. They have a transparent and motivating commission plan, profit sharing, excellent training, and increasing market share. Have you had a different experience at one of these three companies? Let us know in the comments. I am done with my RE programs and ready to take my license exam. Would like to get information as to where to enroll for a crash course (location- Union City , CA) to pass my state exam. Thanks! Thanks for your question, Myla! For a selection of real estate licensing and continuing education courses, check out Brightwood. If you need more information, visit our guide to the real estate licensing process! It’s always best to call the company and chat with the broker about your interest and concerns. One of the things to consider if you will be a new agent, is that you may not want to be left on your own island, especially during the initial period of your training. KW is known for its wonderful training, and you want to be able to take advantage of both the training and the mentorship that an office (and those that work there) can provide. I am a young college student who is soon about to get my real estate license this summer. I know it is very important to find a company that can work for you. I appreciate the detailed analysis of those 3 companies. I live in Maryland and I wanted to know more about long and foster and Coldwell & banker. I want a company I can work for part time, or commission, while still in part time. Also , I want low desk fees, and a company I can gain a lot of experience in. Long & Foster and Coldwell Banker are both great brokerages. That said, each individual firm is owned and operated by a franchisee and might be run slightly differently. I would suggest reaching out to brokers nearby and asking for an informal interview. I’m sure they would be happy to talk with you. If you choose to become an agent at Baird and Warner or @Properties are you able to apply as a partner agent with Redfin? Hi Lauren, that’s something you’d have to discuss with your broker at Baird and Warner. You didn’t even consider Royal LePage!